Are you looking for a good trumpet teacher? Why not sign up for lessons with a pro? This is your chance to spend quality time with someone who knows the ropes. Mr. Lewis is not only one of Houston’s top call, free-lance, professional trumpeters, but he is also one of the city’s most experienced trumpet teachers. He shares his insight as a performer in a way that makes the lessons fun and highly educational. It’s no coincidence that his students are as successful as they are. Mr. Lewis knows what needs to be done and knows precisely how to get it done. Click here to access our contact page and let’s get started! We know that not everyone can attend weekly private lessons in person at our studio. That’s why we’ve developed a variety of options. Some students just need to hear how their music is supposed to go, and there’s no need to come to our studio for that. Other students need to know more about how to practice. We have different options depending on what you need. Of course, the best option is live, in-person lessons. We don’t want to discourage people from that as an option. We just want you to know that we do offer non-traditional ways for students to benefit from Mr. Lewis’ guidance without having to be here in person. If you live too far from our home studio to attend lessons in person, why not consider taking lessons via Skype? Sometimes you can’t make it to a lesson but what you really need is to hear how your music goes. Eddie Lewis can record your music for you, so you can hear how it’s supposed to sound. A practice test is not the same thing as a lesson. For a practice test, you actually practice while Mr. Lewis silently takes notes. After you finish practicing, he will tell you what you can do to improve your practice time and will send you the notes in an email. A virtual practice test is just like a practice test, but you send a video or sound recording of your practice session instead of being here in person. 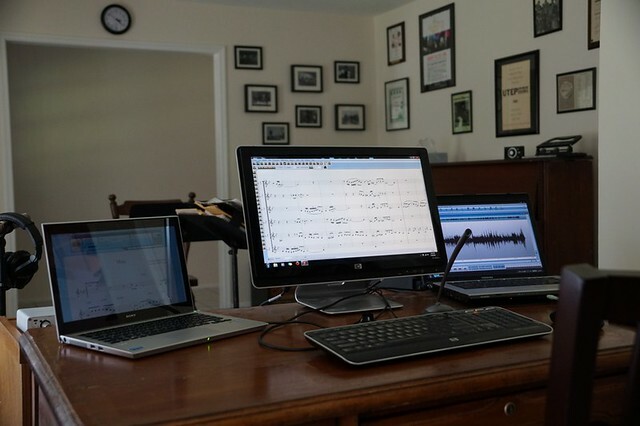 After Mr. Lewis listens to your recording, he will send you suggestions about how to improve your practice sessions. Here is a brief list of qualifications that make Mr. Lewis the perfect teacher for almost every student. For a more complete list of his qualifications, feel free to read his full length resume by clicking here. Mr. Lewis has been teaching trumpet lessons since he was a sophomore in high school (1980). Since then, he has taught literally hundreds of trumpet students of all ages and skill levels. Getting started is easy, just click here and send us an email. Eddie Lewis’ trumpet methods are used by trumpet players around the world. His Daily Routines book alone has sold thousands of copies and people are using and teaching his method on five different continents. Mr. Lewis’ students learn how to set goals and reach them. They do this so well that the ones who desire to win competitions generally do so. His students have contribute to a growing list of competitive accomplishments ranging from making the Texas All-State Band to winning spots in national touring bands. What do YOU want to accomplish as a trumpet player? 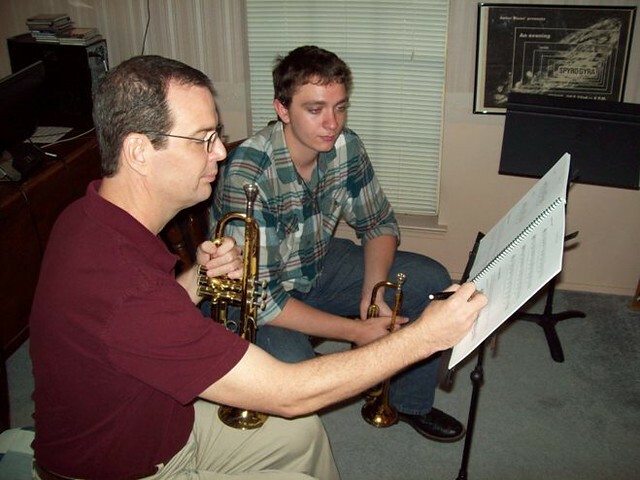 Eddie Lewis has an established reputation for helping trumpet students of all levels reach their own personal goals. The emphasis in the lesson rests always on the student’s desires. Mr. Lewis serves as a trumpet coach, empowering you, the student, to grow musically by helping you clarify your musical desires and then giving you the tools you need to realize your best potential. With over three decades of teaching experience under his belt, Eddie Lewis has helped hundreds of trumpet players achieve their musical goals. You can be next! Not Sure? Try a FREE Consultation: If you’re not sure Mr. Lewis is the right trumpet teacher for you, feel free to take him up on his standing offer of a FREE consultation. The free consultations usually end up being a free lesson, so what’s not to like? Plus, when you show up to your consultation, we will give you a free CD of Eddie Lewis’ trumpet playing. Best Way to Get Started: To sign up for trumpet lessons with Mr. Lewis, simply use the contact form on this website to introduce yourself. Tell us you are interested in trumpet lessons and we will work with you on establishing a lesson time. Click HERE to access the contact form. Best Teaching Philosophy: To read more about what makes Eddie Lewis a better choice for a trumpet teacher, feel free to read more about his teaching philosophies on the page titled Lessons With Eddie Lewis. 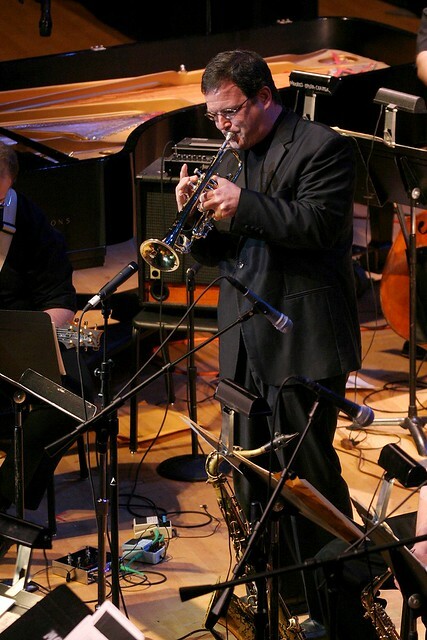 Other Subjects besides Trumpet: Eddie Lewis also teaches private lessons in music composition, arranging/orchestration, jazz improvisation and Finale notation software. However, please keep in mind that jazz lessons are separate from trumpet lessons. The material does not always overlap. If you want to become a jazz trumpet player, your lesson time must be split between trumpet work and jazz improvisation. Note: Mr. Lewis used to teach advanced jazz improvisation at Houston’s High School for the Performing and Visual Arts (H.S.P.V.A.) and has taught jazz orchestration as a class at the Summer Jazz Workshop. Testimonials: To read testimonials from some of Mr. Lewis’ students, please go to our Trumpet Lesson Success page. Feel Safe: We have an account with Thumbtack where we have submitted to every background check in their system. We think it is best that our students feel safe with us, even though we start off as strangers. Click HERE to read more about the background checks. F.A.Q. : Click HERE for a growing list of commonly asked questions. Eddie Lewis is an active member of the world wide trumpet community. His articles have been published in the International Trumpet Guild Journal, the Texas Jazz Educator’s Journal, and a variety of online publications. Mr. Lewis currently hosts a blog at http://eltigredo.com/blog/ where he posts trumpet lesson related articles on a regular basis. These articles are an important part of your lesson and he encourages you, as his student, to discuss them with him in the lessons. Mr. Lewis’ current students travel weekly from different parts of the city. In fact, one student even makes the two hour drive from Lufkin, TX every week. Note: Eddie’s students have come from as far away as the United Kingdom. People have been flying to Houston from all over the country and the world to study with Mr. Lewis since the mid 1990’s. He is internationally recognized as a trumpet teacher because of his online presence. The difference with these long distance students is that they take one or two lessons and fly home. This website currently focuses on the needs of his local, regular students. What’s important is to decide what you want from private lessons. Mr. Lewis is at the top of his field as both a teacher and a performer. This is most evident when you look at his publications. No other local trumpet teacher has authored so many trumpet books (Lewis has written sixteen trumpet books ten of which are in print). Most teachers do not write at all and when they do they stop at one method book……usually something that only explains the way they (or their teachers) play and isn’t designed, as Mr. Lewis’ books are, for helping YOU develop as an individual player. The students who decide to study with Mr. Lewis want from a teacher specifically what he has to offer. If just ANY teacher will do, then he is probably not the teacher you are looking for. For those who do want what he has to offer, it is well worth the drive. We will not give our exact address online, but many potential students like to know how far they would have to drive to get to the lessons. We live in the Sagemont area which is in South East Houston. Take the Gulf Freeway (I-45) north to Scarsdale. Turn left on Scarsdale, right on Beamer and left on Hughes. Take Beltway 8 towards the Gulf Freeway (I-45). Turn right on Blackhawk and Left on Hughes. Take I-45 south to Scarsdale (one exit past Beltway 8 – South side). Turn right on Scarsdale, Left on Beamer and Left on Hughes. Take 59 south to I-45. Go south on I-45 to Scarsdale (one exit past Beltway 8 – South side). Turn right on Scarsdale, Left on Beamer and Left on Hughes. Take 146 to 225. Take the Beltway south to Beamer. Turn left on Beamer and Right on Hughes. Mr. Lewis also offers private instruction for jazz improvising, composition and arranging, and coda’s Finale software. These are lessons for individuals of any instrument.